What Is A Mobile Spy App? Why Do You Need It? Want to know what is a mobile spy app? How it can help you? We have this article summarizing the coolest features of a mobile spy app that can help you as a parent or employer. We have also shared our favorite pick from many mobile spy apps. Mobile spy apps can be installed on a phone and can run in stealth mode. These apps can track all activities on a phone. This can also be used by hackers to track your information. However it also helps parents and employers to monitor the activities of mobile user. Most mobile spy apps provide a way to track the online activities on a device. You can easily view all activities remotely on a web interface. This allows you to easily monitor and control. You can know how much time is spent on a app or a website. This will help you put better control on your kids playing games on phone for indefinite time. The app can not stop them however you can know the time spent on any activity. Why Do We Need Mobile Spy Apps? 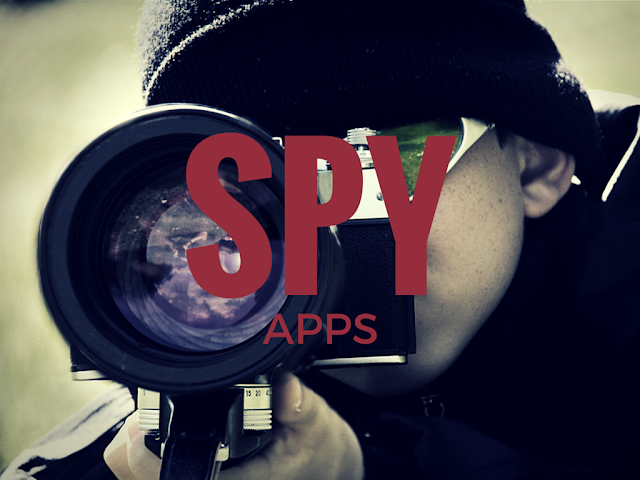 Mobile spy apps can be helpful for parents as well as employers. This helps them be aware of the device usage. Kids activity monitoring is a big concern for parents. Most of online activities can not be monitored without help of a app. You can control the online access on home network however it is impossible to prevent kids from accessing inappropriate content online. There are many websites and including most popular sites like facebook, twitter can have content that is not suitable for kids. Having a spy app on mobile phone can allow you to monitor any online activity going through the phone. This will help you control the situation in time. Many employers provide devices to the employees and they want to make sure the device is not misused. The spy apps are going to keep a log of all activities. These activities can be easily monitored by an administrator on web page. Any inappropriate use can be easily identified. Many times this type of tools save the employers a lot of money in legal hassles since any illegal or bad activity from an employer owned device can result in a law suite that may be costly to defend. The activity logs can be used as a proof of evidence for employers to defend any legal issues. Mobile spy apps are available at the handful, but you don’t need them that way at all, one good Mobile Spy App would do wonders and that’s all you need. So let’s talk more about the spy app I want to tell you about; to start off its called Xnspy and it takes monitoring to a different level. The Android OS: Support begins from version 2.3 all the way up to 5.1.1. This includes support for all cell phones as well as Android based Tablets. The tablets that have GSM capabilities can now be under the protection of Xnspy. The Apple iOS: It supports the iOS 7.0 to the most current one. If you do not wish to Jailbreak your phone, a Non-jailbreak version for iOS devices is also available with Xnspy. This includes iPads as well. To give you an idea about the installation procedure, apart from the iOS it’s pretty much entering a download link and downloading the app after which you activate it using the code they provide. Nothing technical to it, it’s simple and straightforward. Xnspy has some serious features that can be put to use, for instance you can spy on all platform specific messaging services like iMessages, WhatsApp, Line, Viber, kiK and others. That said it also lets you monitor SMS, Email, and Gmail. In a nutshell, you’ve got textual services covered. You can even record surroundings and then play them back; this is a great way to listen on to conversations. Likewise, you can even record calls to get some insight on communication. Xnspy comes off strong when it comes to tracking, you get Geo tracking and Geo location, both make monitoring effective along with giving you details such as addresses, GPS locations, and even the time and the date. Yea that’s right, you don’t even have to do the monitoring, Xnspy will do it all for you. It’s THAT good, just set it up and it will alert you whenever something suspicious pops up. So then, impressed yet? If not go ahead and check out their website, and if you are impressed then simply go over to the sales page and get yourself an awesome subscription! Updated on October 2017 - Minor fixes and updated links.